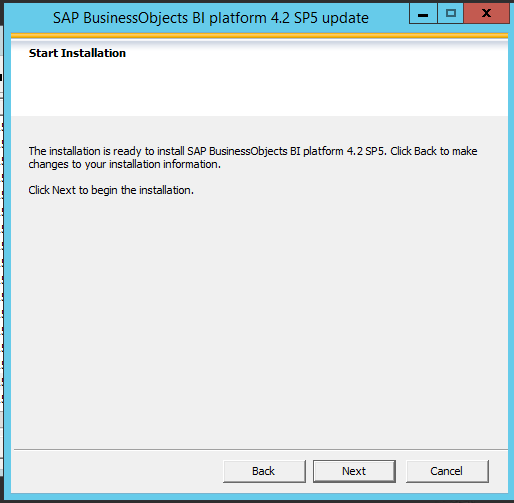 In this blog, I would like to share steps that followed to Update BI from 4.2 SP4 to SP5. 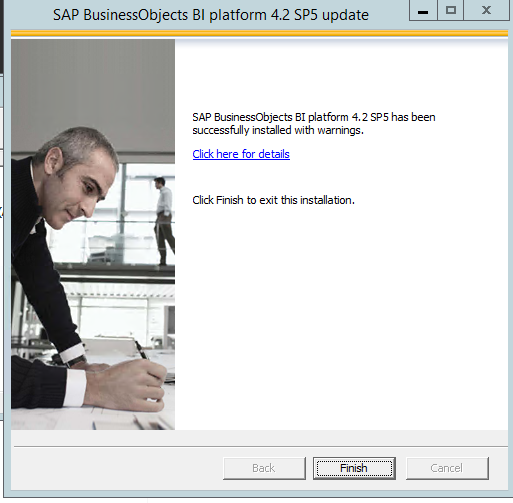 BI 4.2 SP5 got Few Enhancements which are useful to BI Admin’s . 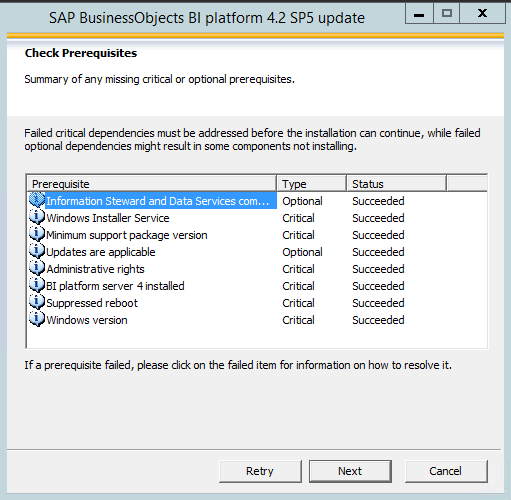 BI 4.2 SP5 Update Files. 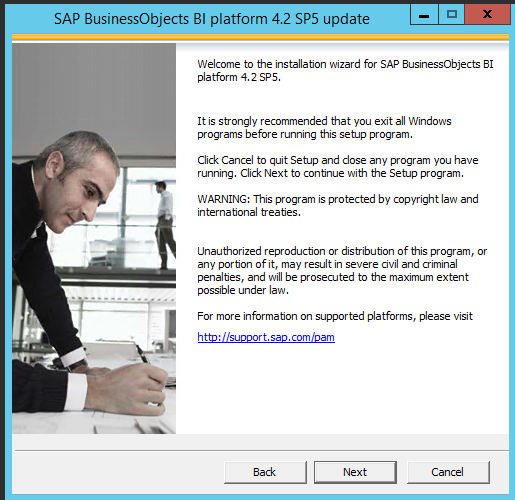 after Installation we did not see Promotion management wizard. 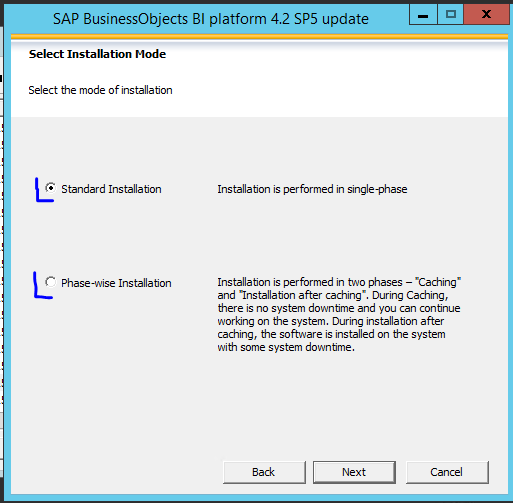 Are the steps and process same if I am updating from version 4.1 SP5 to 4.2 SP5? Yes, the steps are the same. 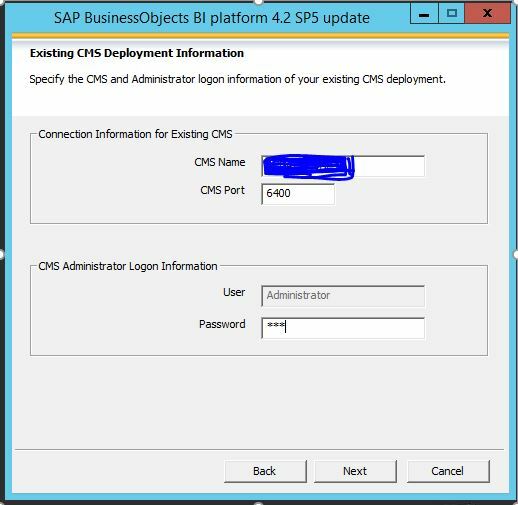 I have updated BOBJ Server 4.2 SP03 to 4.2 SP05 successfully but now IDT tool is not an open session with CMS, giving me an internal error. IDT and UDT tools showing in CMC application tab.CMC version 4.2 SP05. 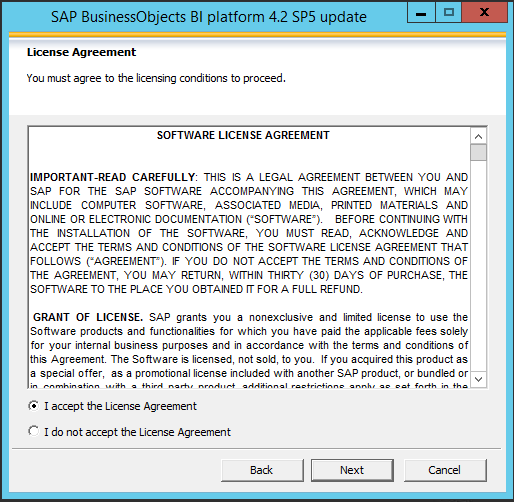 BI Launchpad version 4.2 sp05 but IDT version showing 4.2 SP03 old version. 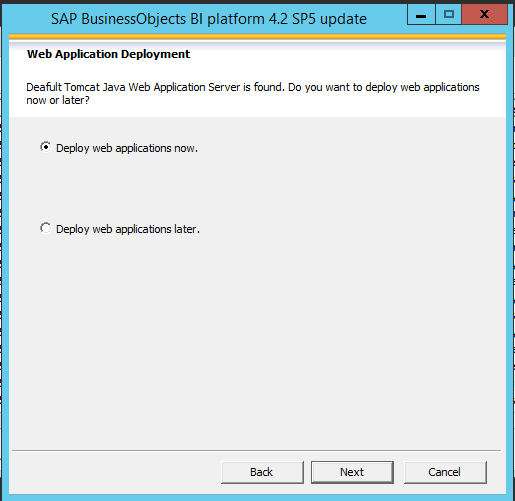 I´ve updated from 4.2 SP4 so after that Apache Tomcat services was removed.